I am grateful to Mike Sheldrick, a reader of this blog for spotting some news, that was not entirely expected by me. For reasons that I will explain later. As you may know two new cholesterol lowering drugs have now launched. Two PCSK9 inhibitors. I call them the ‘dreaded’ PSCK9 inhibitors. I have written about them a few times. There has been surprisingly little noise about them so far, at least in the UK. Not sure about the US or the rest of the world. They are called Repatha and Praluent. Catchy eh! These drugs have two major problems at present, at least from a money making perspective. They have no outcome data, by which I mean that they have not been shown to reduce the risk of heart attacks, strokes… or anything else for that matter. (They have been launched purely on their ability to lower LDL to violently low levels). They are also extraordinarily expensive. In the UK Praluent will cost between four thousand to eight thousand pounds ($6 – $12K) per year, depending on the dose1. Which means that the NHS can, if it so wishes, pay eight thousand pounds a year for a drug that does not actually do anything – other than lower a surrogate marker for heart disease. Now, this may not be seen as bargain of the year. I can imagine great battles are going on right now between the pharmaceutical companies and NICE. The organisation that decides if a drug is cost effective, or not. At present I would think that the response of NICE would be ‘Are you out of your tiny little minds. Why the [[…] insert swear work of choice here], would we fund this?’ At least I would certainly hope this would be their response. Imagine if everyone on statins in the UK, around seven million, changed to PCSK9 inhibitors This would cost £56 billion pounds [$80Bn] a year. A tidy little sum. Half of the entire NHS budget. So, what to do? 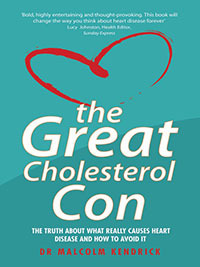 You have this amazing cholesterol lowering super-drug that does nothing, and it is enormously, eye-wateringly expensive. Come on, come on. Think! 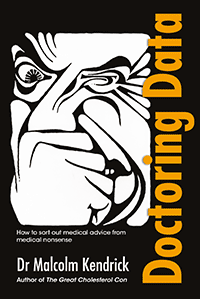 To be frank, I thought that the primary marketing tactic would be to claim that statins actually have many, many horrible side-effects – that no-one noticed until…. there were new drugs to be launched of course. Which would mean that all those people who were ‘statin intolerant’ would need to take PCSK9 inhibitors instead. To get that horrible, damaging LDL level down. There is no doubt that the attack on statins is currently happening, but there has been more resistance to this than expected. At present about one in five hundred people have FH and, when I started thinking about, I realised that this is really a big enough market for PCSK9 inhibitors. Just to do some simple sums. There are sixty-five million people in the UK at present. If one in five hundred has FH, that represents an FH population of 130,000. If every single one of these people goes on the higher dose of one of these drugs, the total sales would be £1Bn/year. In the UK alone. That is a blockbuster in anyone’s eyes. If we transpose these figures to the US. The total population in the US is three hundred and twenty million. Which means that 640,000 people will have FH. With Praluent selling at $14,000/year, that would be $9Bn/year in sales in the US alone. Worldwide we are talking tens of billions a year. Of course, there are two virtually identical drugs out there, Praluent and Repatha, so divide the market by at least two – and there are more PCSK9 inhibitors in the pipeline. Reducing this market still further, not everyone will take an injectable medication every two weeks, no way. And so the total market, though still massive, shrinks down ever further. Realistically, you might get a maximum of a quarter of those with FH on your drug. Amgen, for example would have to cope with piddling sales of $10Bn/year worldwide. Which will not do, not at all. More money must be made. “More people may be diagnosed with familial hypercholesterolemia (FH) using criteria contained in a new scientific statement published by the American Heart Association. The expanded definition could also mean more patients will be eligible to receive expensive cholesterol-lowering drugs, including the new PCSK9 inhibitor drugs, (Repatha from Amgen and Praluent from Sanofi/Regeneron)…. In one simple stroke, the market for PCSK9 inhibitors in the US has been increased from 640,000 to 1,920,000. Or, in monetary terms, $9Bn to $27Bn. There, that’s more like it. In the UK the market goes up to 400,000, with max PCSK9 sales going from one billion to three billion pounds sterling. A clever little trick. I must say that I, possibly the most cynical human on the entire planet, never thought they would do this. I discounted as just too brazen. It would just be likely to be laughed out of court. Silly me. No-one is laughing. Experts are rubbing their chins and nodding sagely at the wisdom of this move. New swimming pools all round, is what they are probably thinking. Do you think that the American Heart Association’s (AHA) decision here may have been affected by commercial sponsorship? This, of course, would be impossible to say – without getting sued senseless for libel. However, I had a little look around the AHA, and Amgen, also the ‘non-profit’ FH Foundation and Amgen, and suchlike. Here is one statement from the AHA site. ‘Amgen is a proud sponsor of the American Heart Association’s Heart360 Toolkit3. Ho hum Needless to say. Amgen are also ‘proud’ sponsors of various AHA meetings. In addition, Amgen are also a foundation ‘corporate sponsor’ of the FH foundation4. They are probably very proud of that too. Finding these financial relationships can be a little tricky, as they are usually hidden in the depths of various websites. Perhaps other mike care to improve on this list…. Probably not that hard to do. This entry was posted in Cholesterol & Statins, PCSK9 and tagged familial hypercholesterolemia, FH on November 7, 2015 by Dr. Malcolm Kendrick.